This detailed Map is showing the main touristic sites, hotels, transit lines, and public buildings. 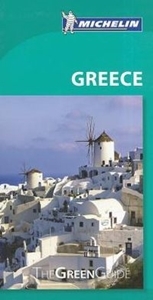 Major streets are bilingually-named, with smaller streets shown in Greek, as they would be sign-posted that way. This map is printed on durable ITM waterproof paper. 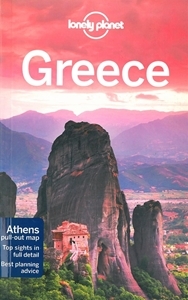 MapEasy's Guidemap to The Greek Isles combines a map with the information you would find in a guide book. 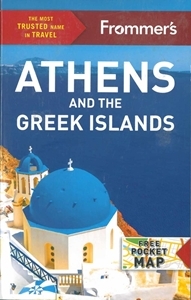 This map details the islands of Greece in a beautiful watercolor style and includes information on sights, hotels, restaurants,and shops. This map is printed on a waterproof and tear-resistant material. Cut through the online clutter! No one wants to click through hundreds of pages of Web reviews, wondering which ones to trust. 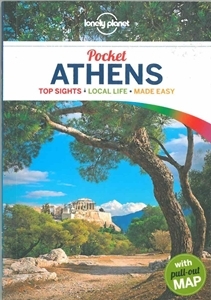 Frommer's experts know every corner of Greece and they're not afraid to tell the truth about where to eat, stay, and play. That's what made Frommer's America's favorite travel source for nearly 60 years.